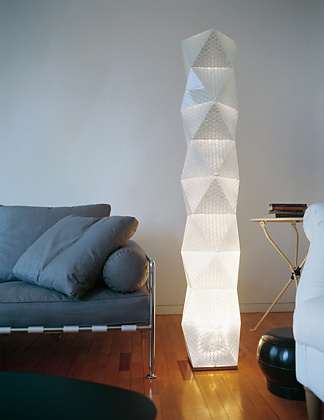 Honey is a family of modular lamps, which were designed as luminous sculptures that grow vertically, like Brancusi's "Infinite Column". 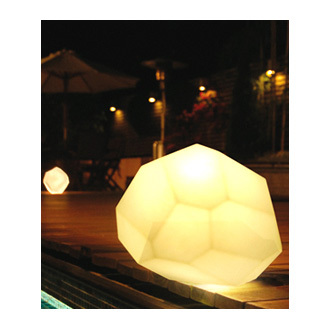 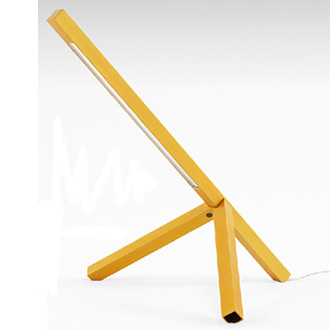 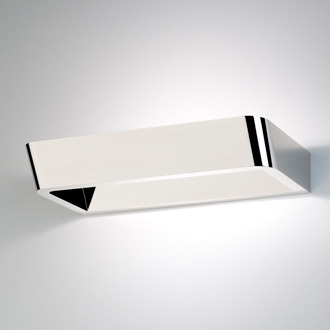 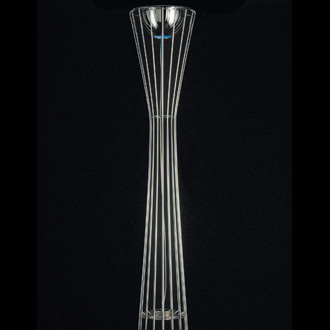 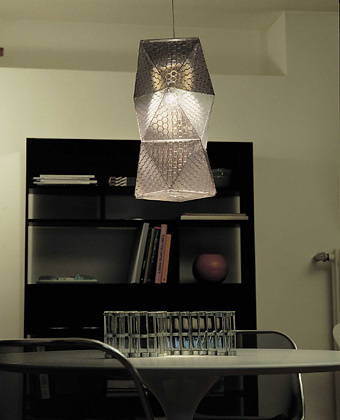 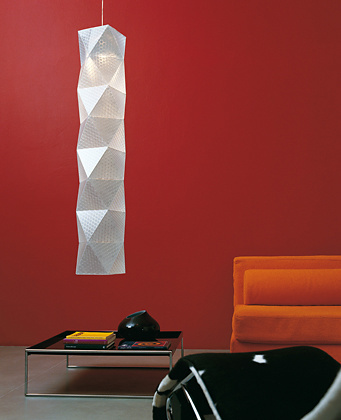 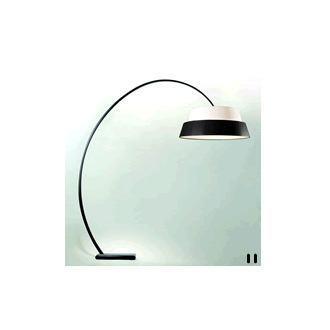 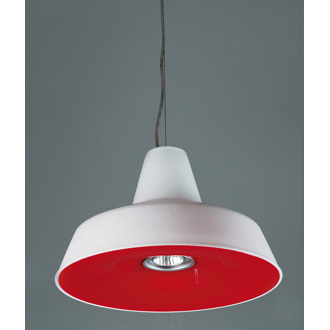 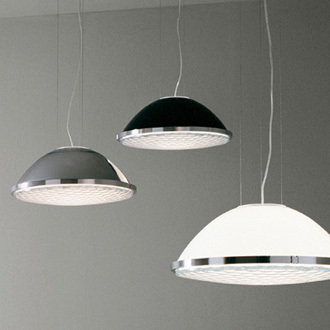 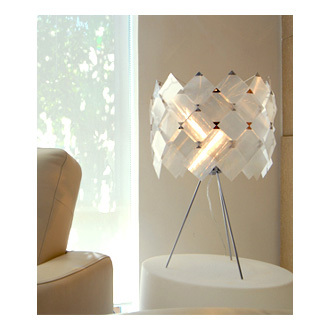 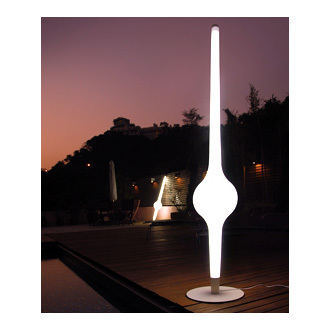 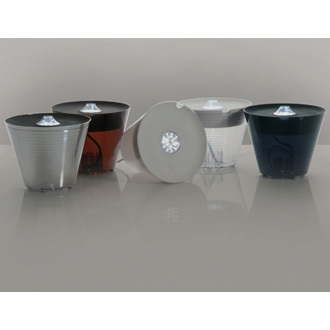 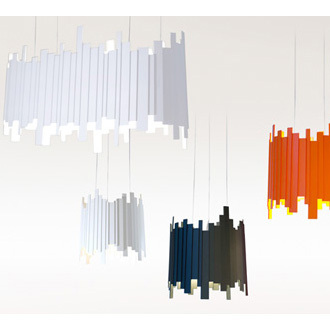 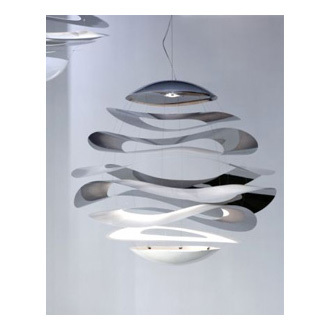 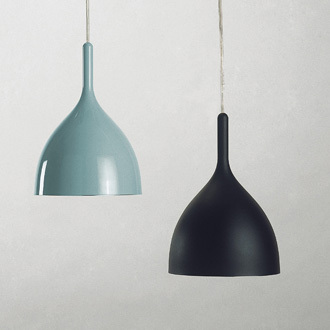 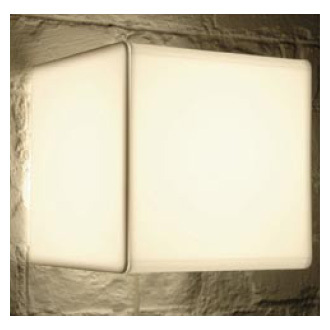 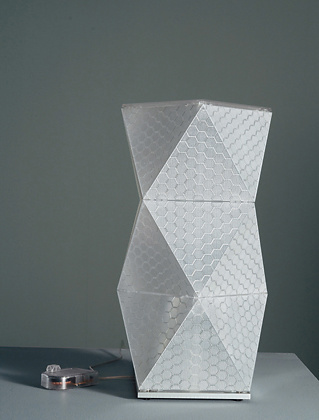 The lamps are composed of three polycarbonate moulded elements: a triangle/ diffuser, a ribbed frame, a topping element. 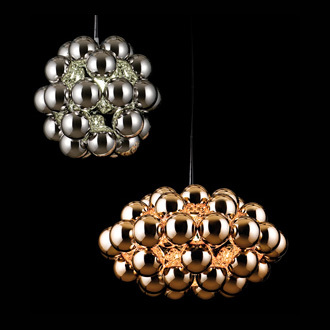 Honey is fitted with spring-locks and requires no further tools for assembly. 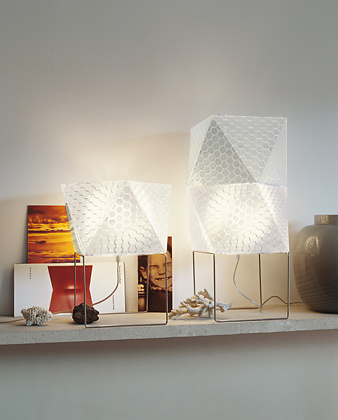 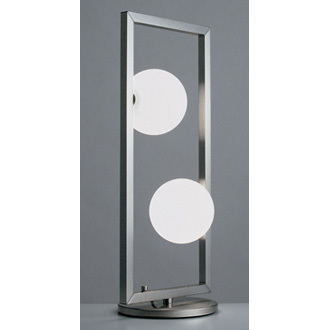 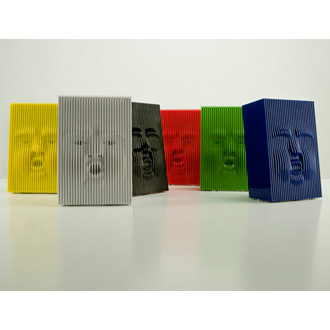 By overlapping these various elements it is possible to create a lamp of any desired dimensions, from one to nine modules. 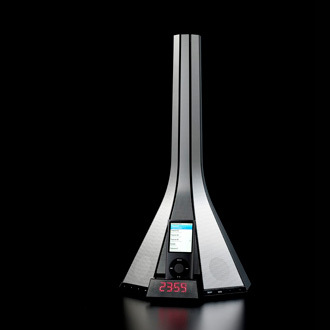 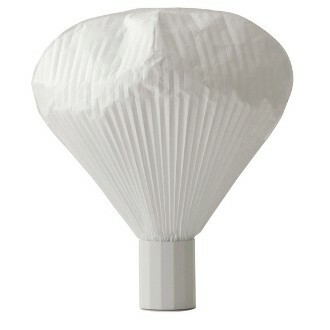 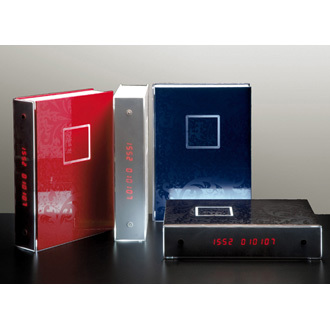 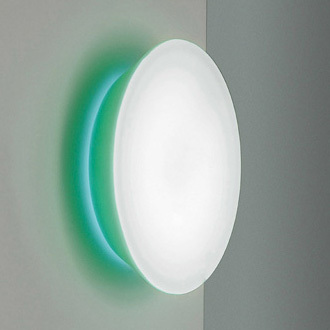 The multi-lenticular texture provides the same type of light, only softer, of retro - reflecting accessories; it distributes the luminous flow emitted by the source placed at the base of the lamp inside the device, and captures natural light, making the surfaces of the lamp iridescent when switched off. 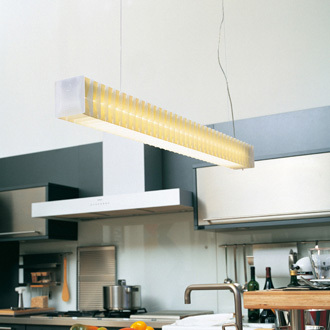 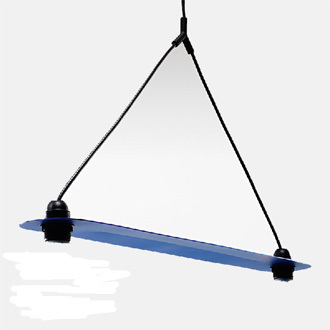 Injection moulded polycarbonate diffuser, in transparent or fume finish; white polycarbonate injection moulded ceiling fitting and suspension cable with adjustment cord. 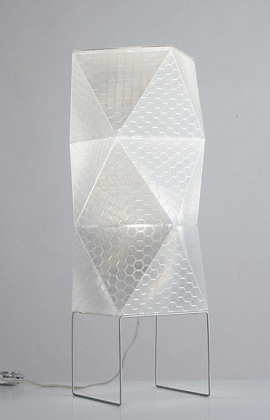 Transparent power cable.